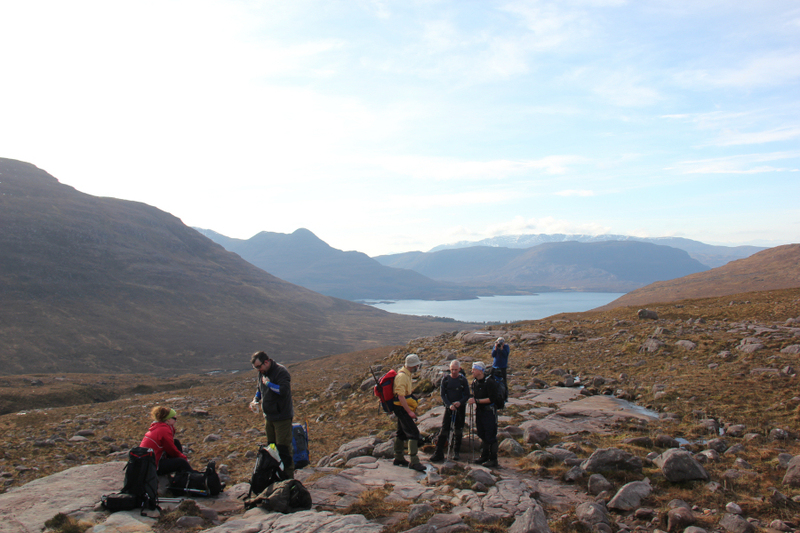 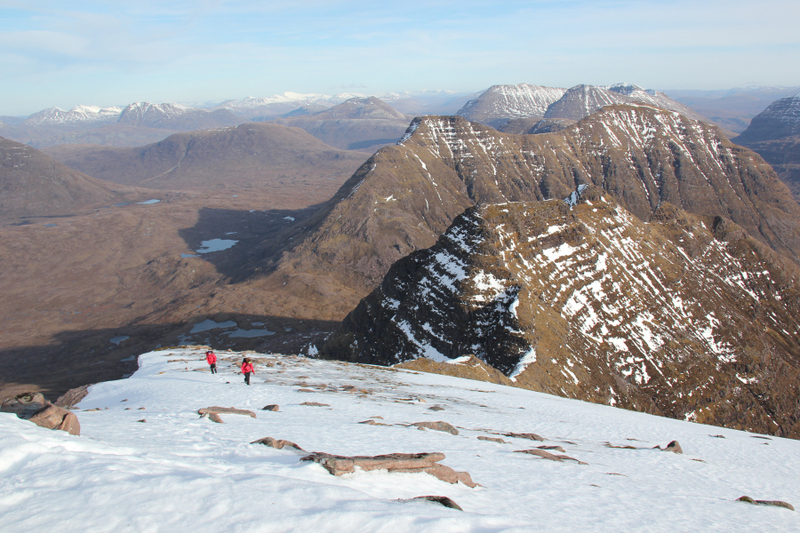 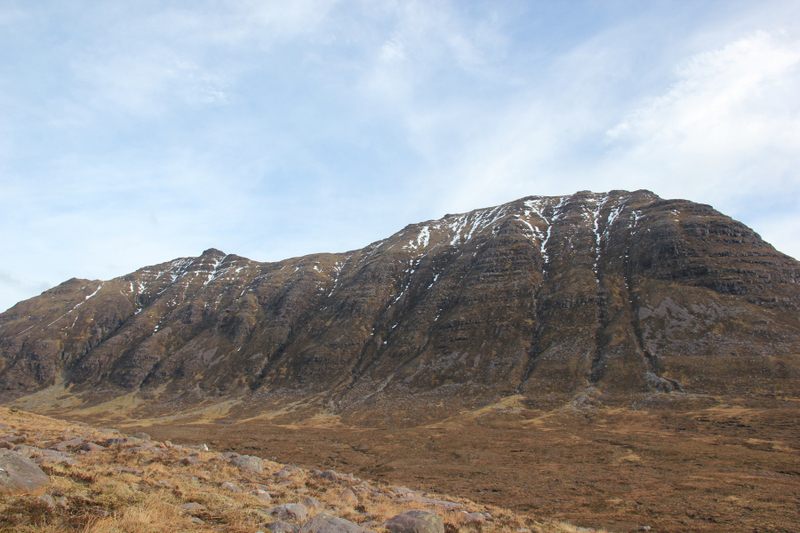 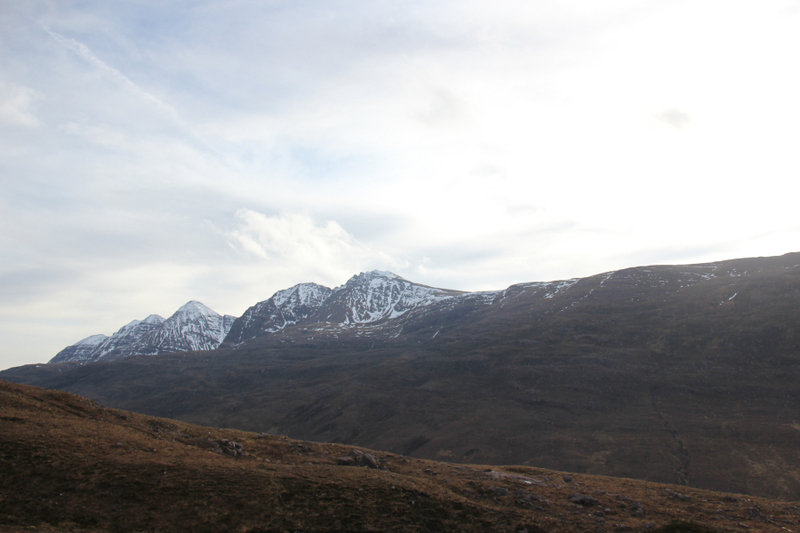 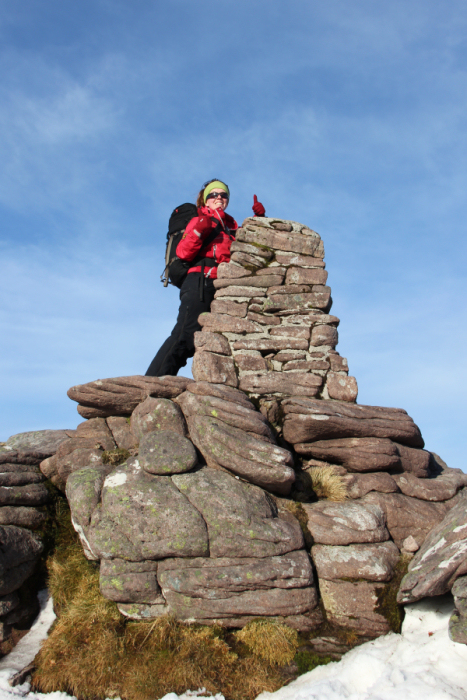 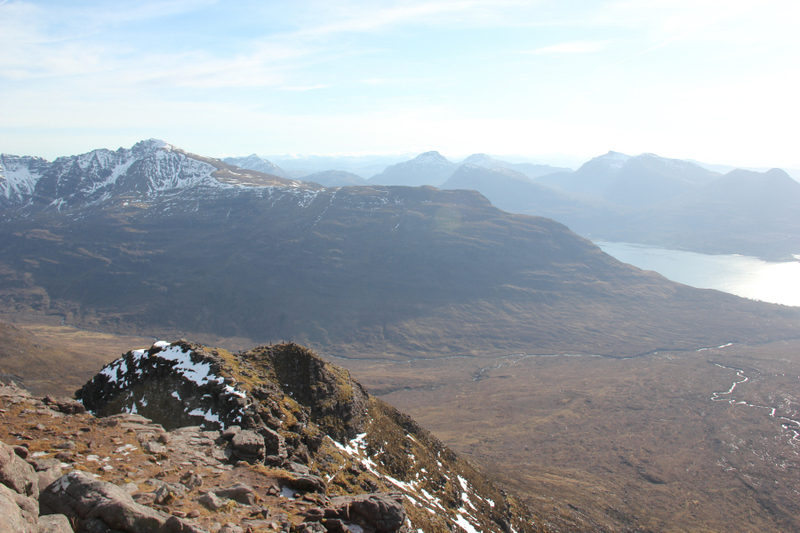 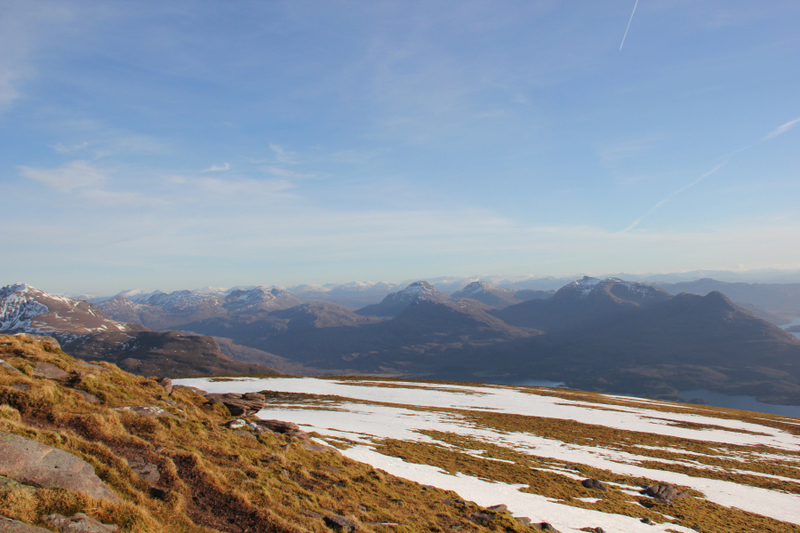 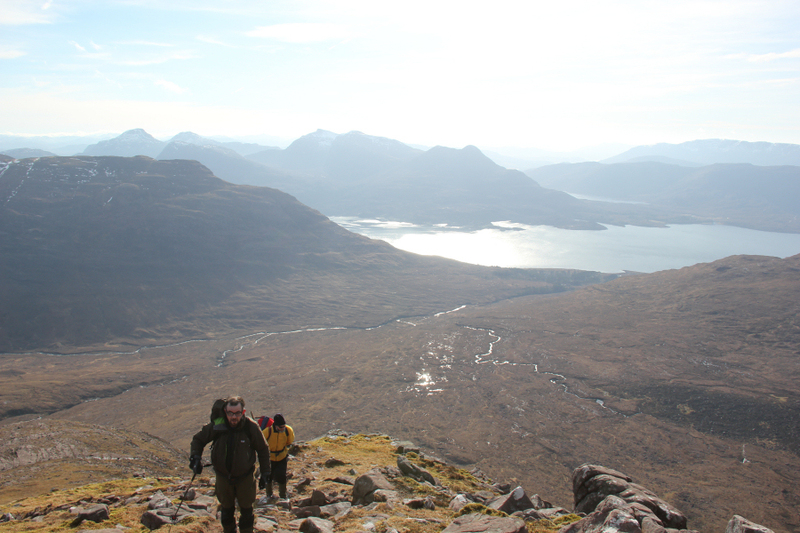 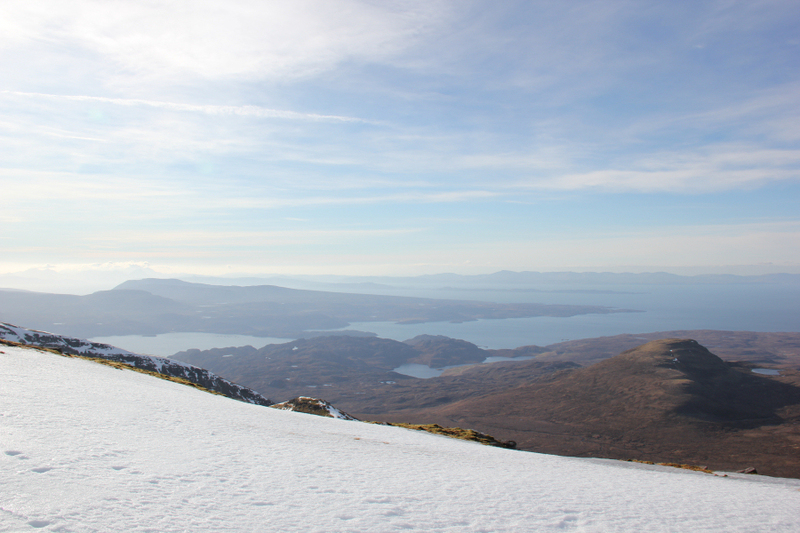 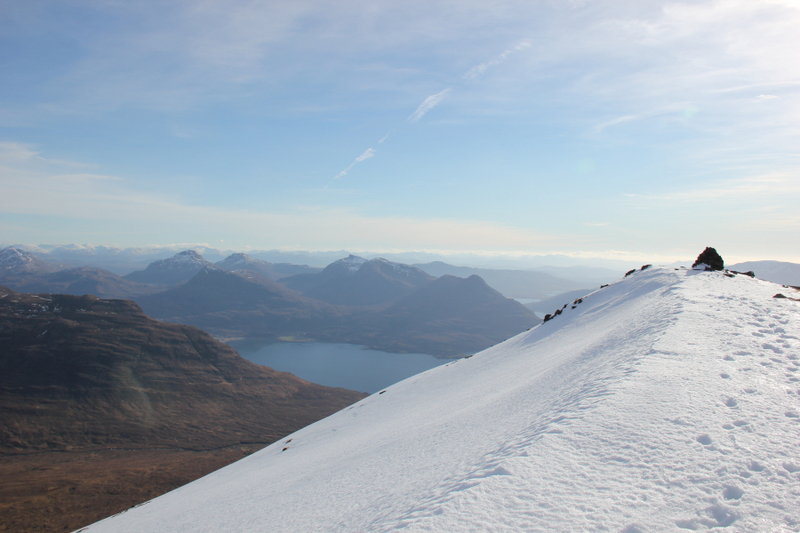 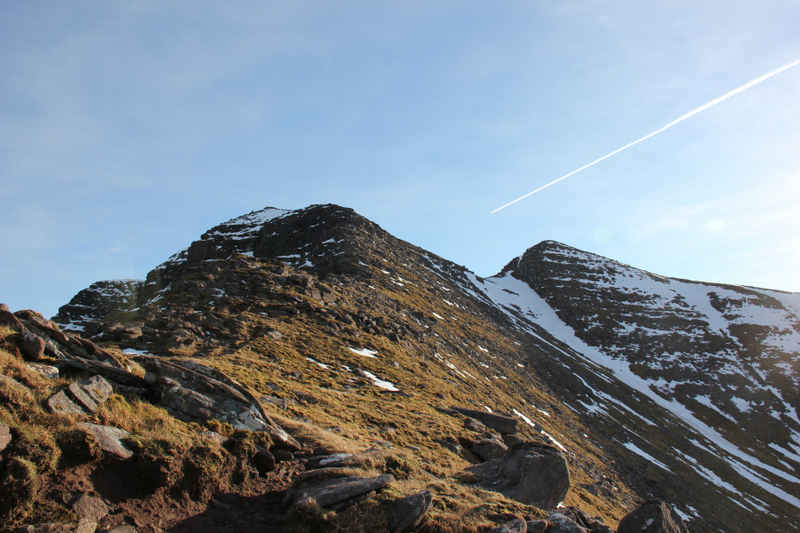 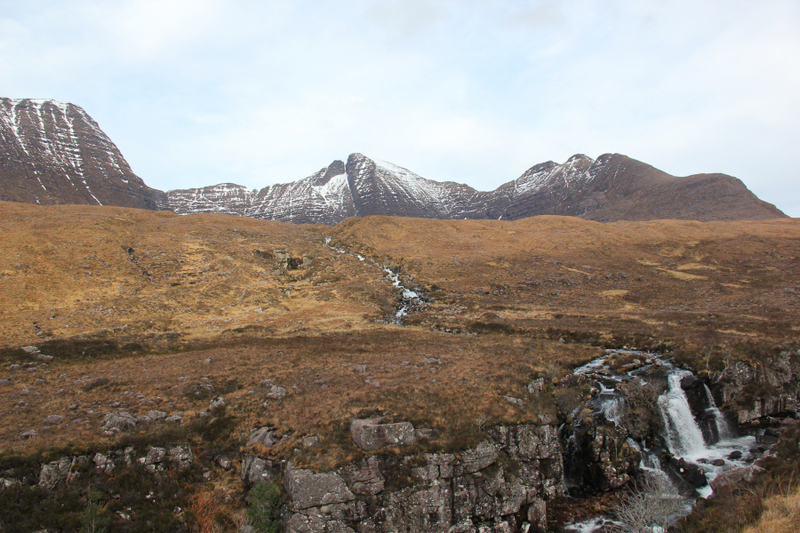 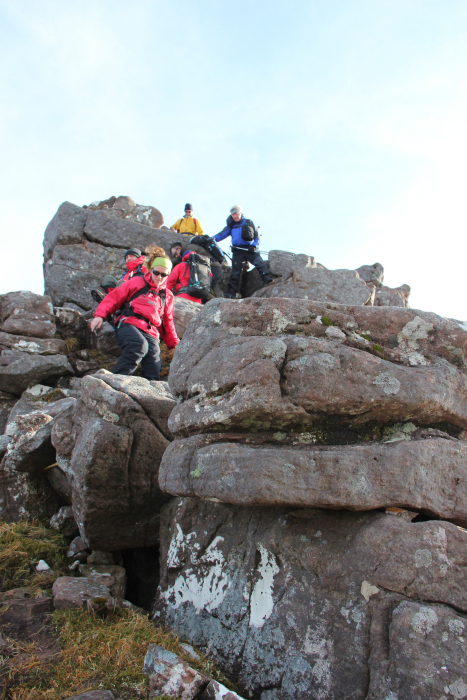 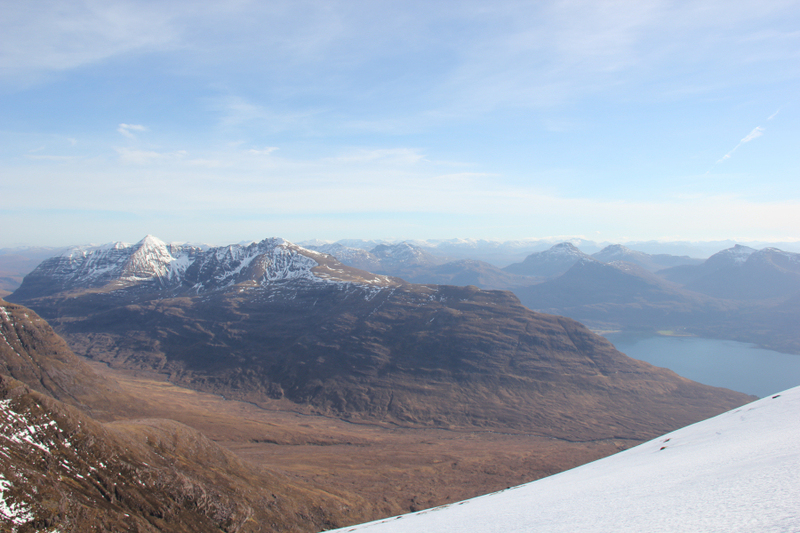 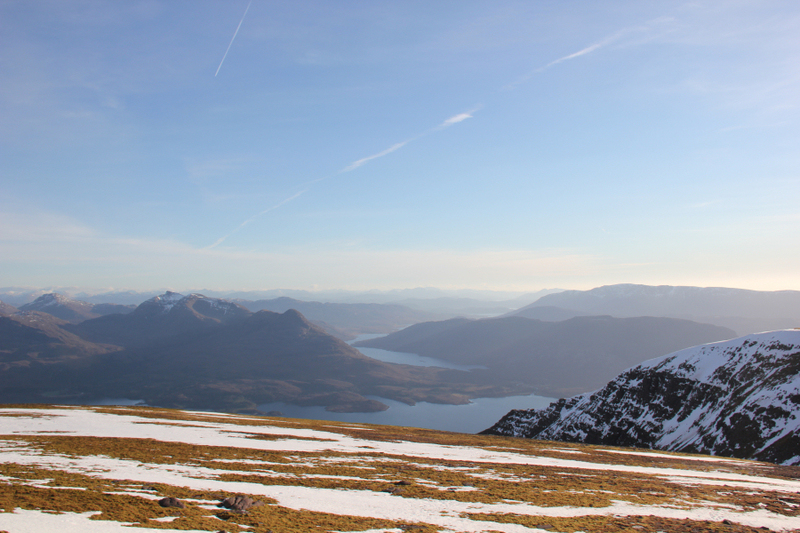 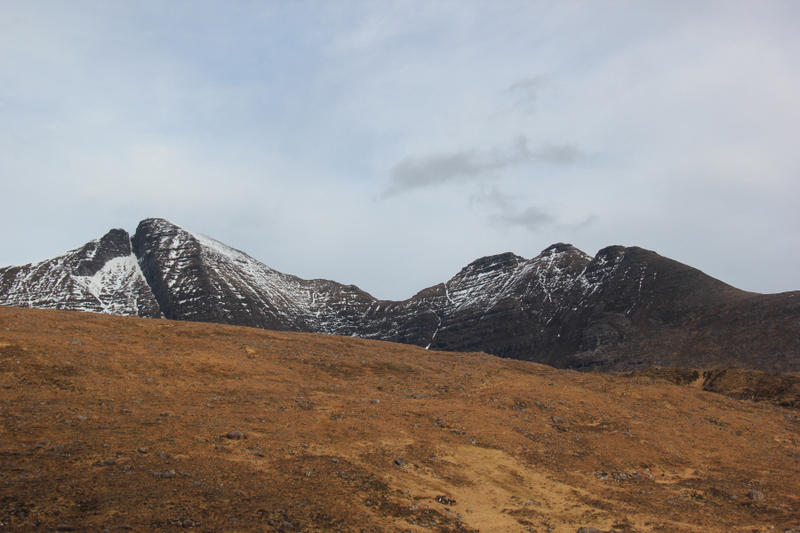 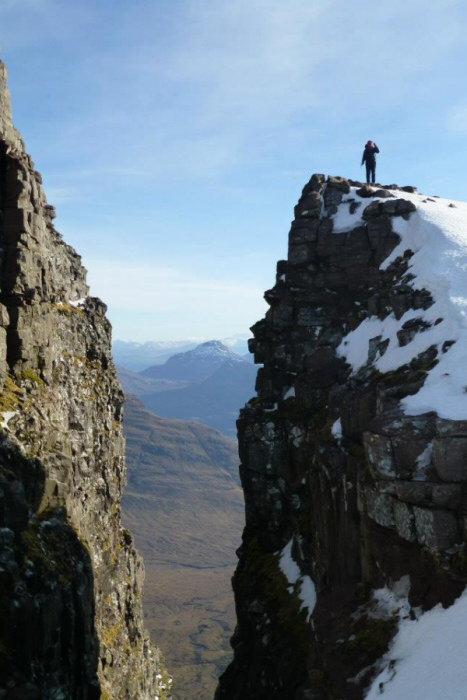 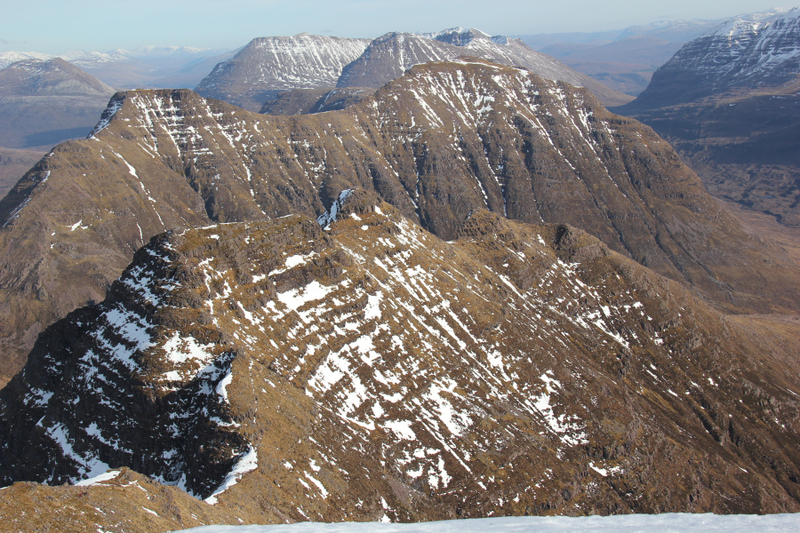 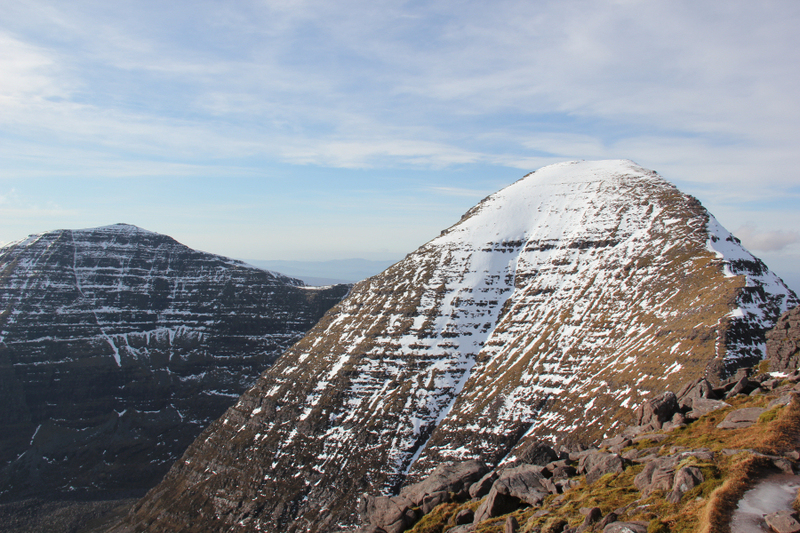 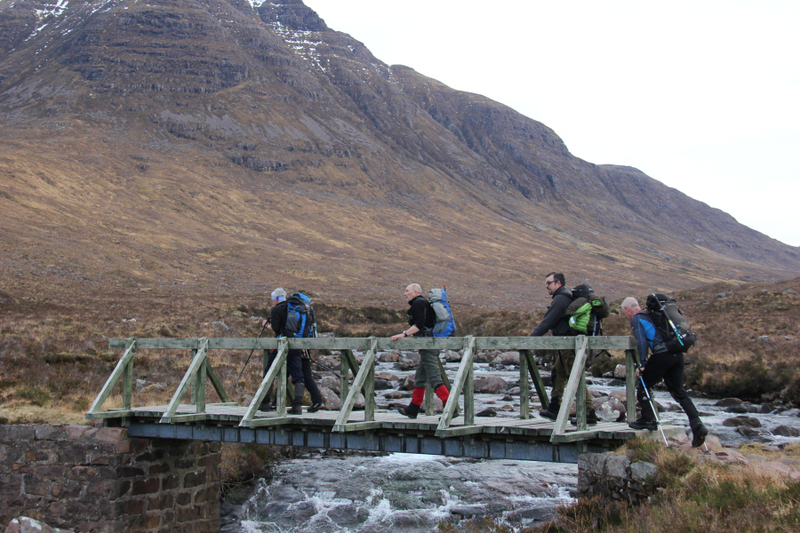 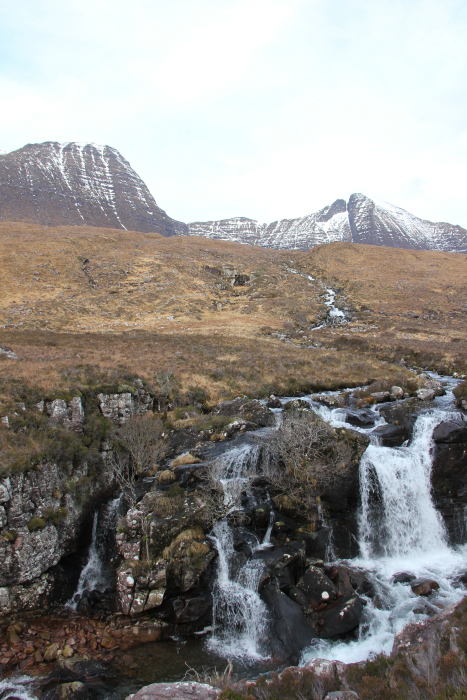 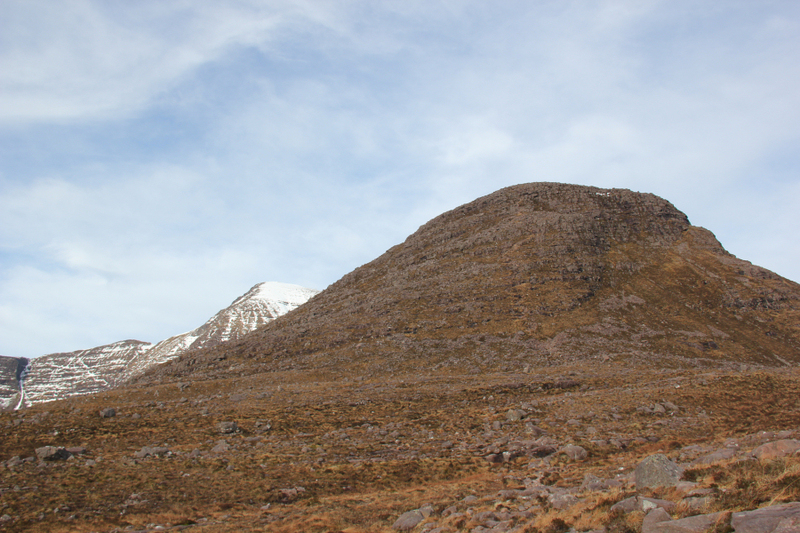 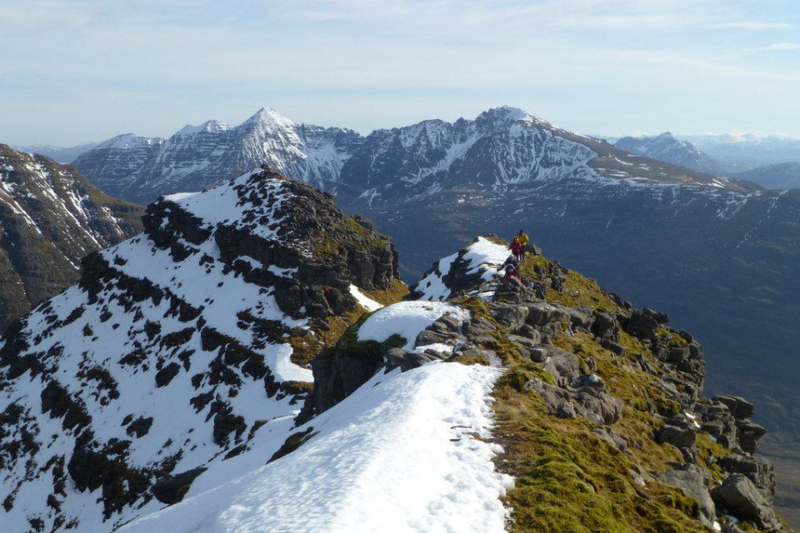 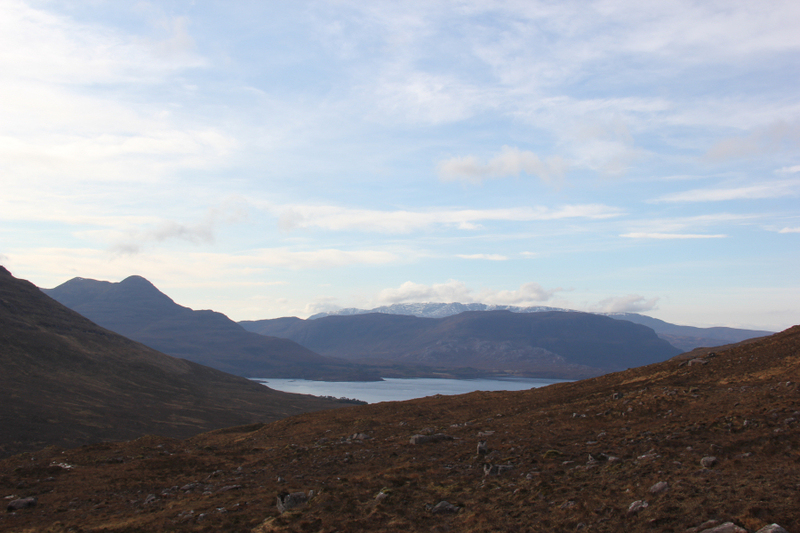 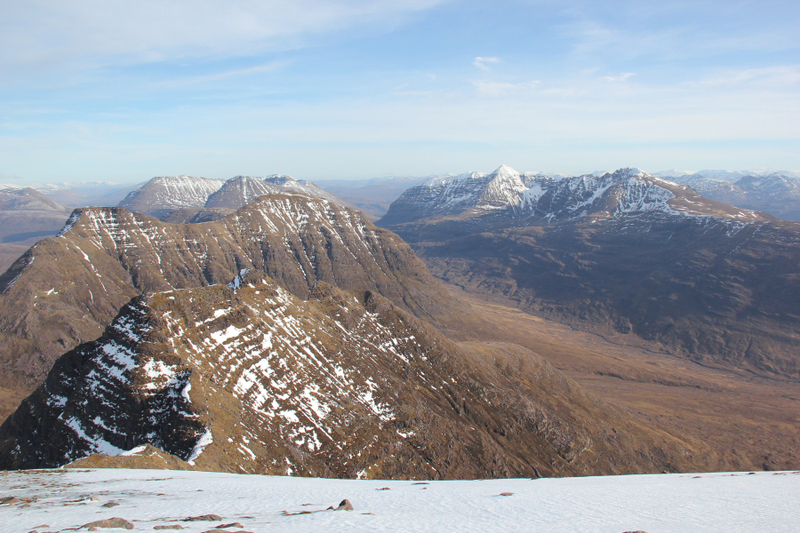 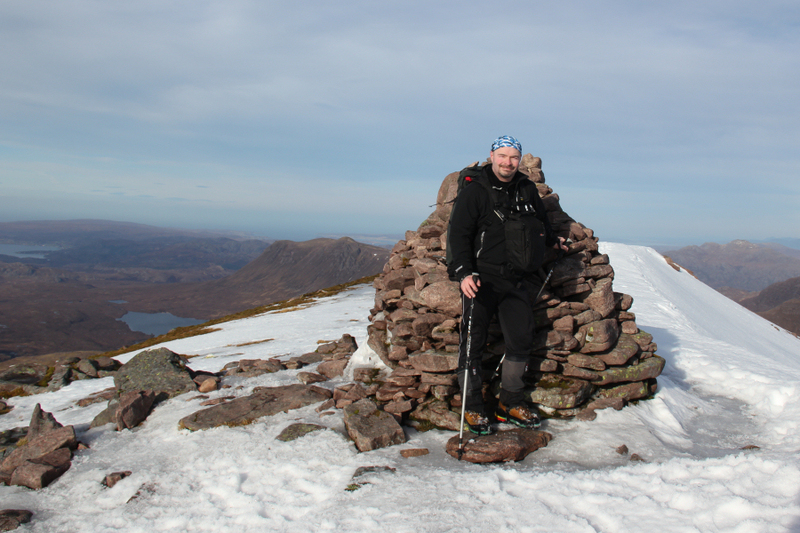 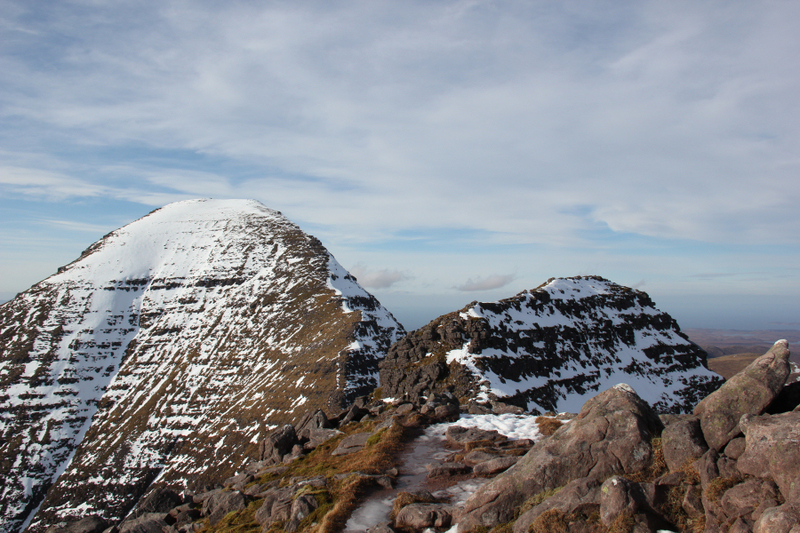 I last ascended Beinn Alligin in 1998 during which I undertook a clockwise circuit. 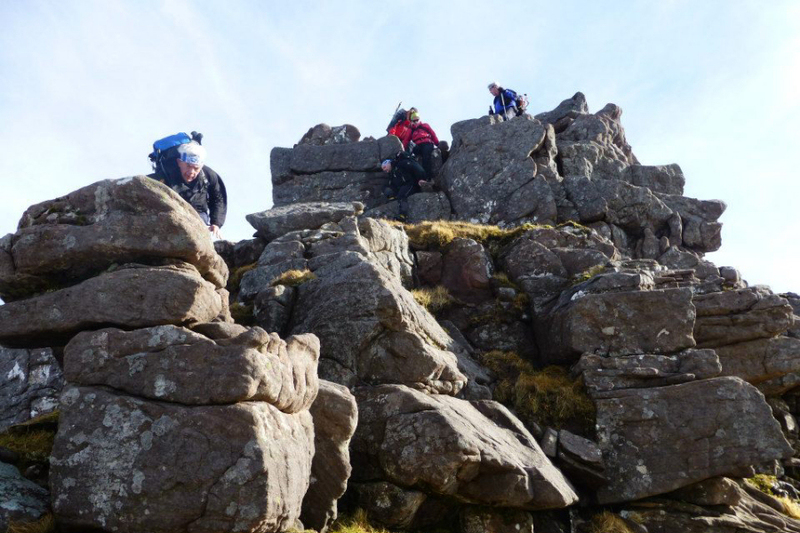 This time I was undertaking the route effectively in reverse, tackling the horns first. 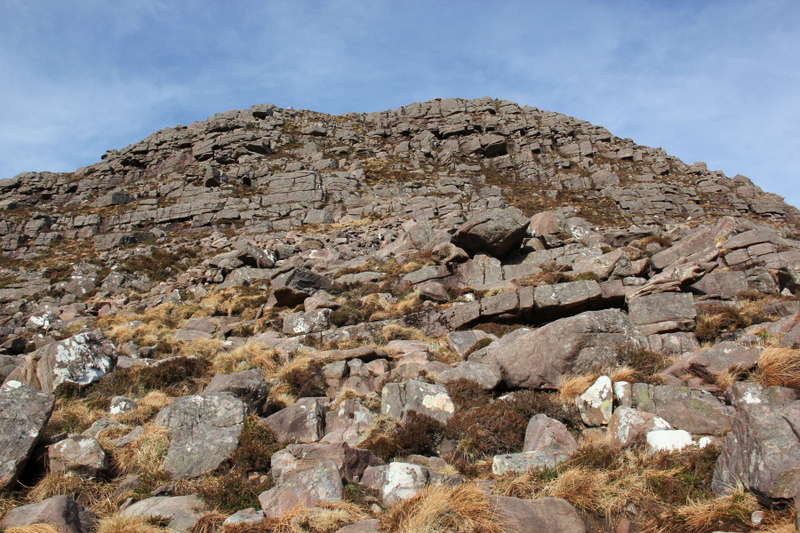 The initial ascent had more easy scrambling than I recalled from my previous ascent. 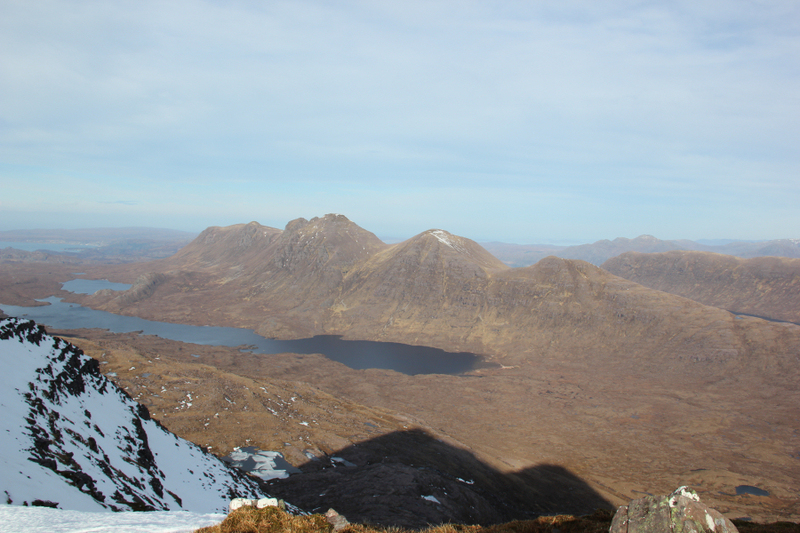 During this ascent, I found that the large camera bag strapped to my chest was throwing me a bit off-balance, so about half-way up I took the opportunity to stick the camera in my rucksack as well as put away my walking poles. 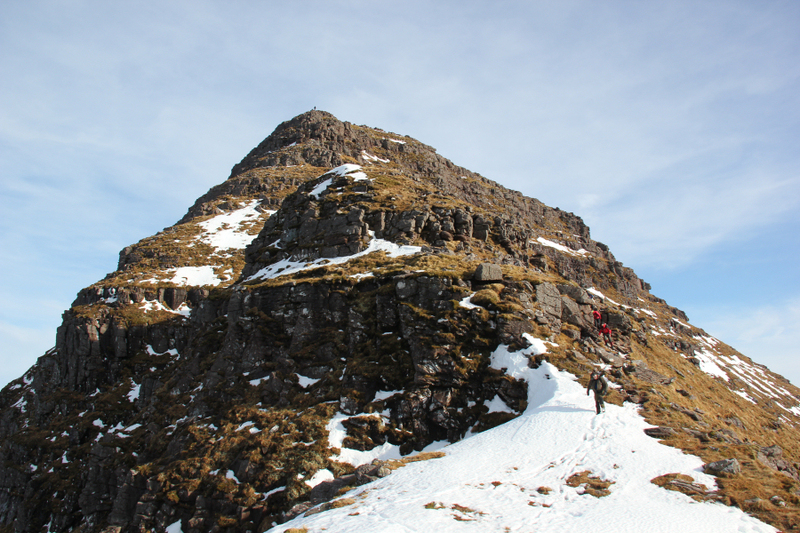 We scrambled the horns sticking to the ridge line instead of using any of the by-pass paths below. 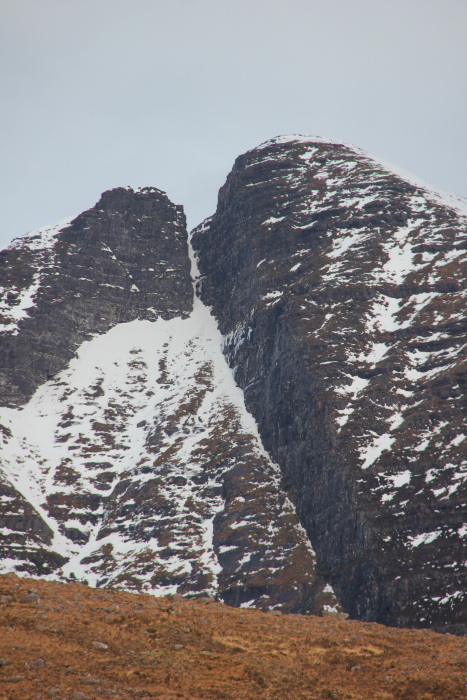 The traverse of the horns was quite slow progress. 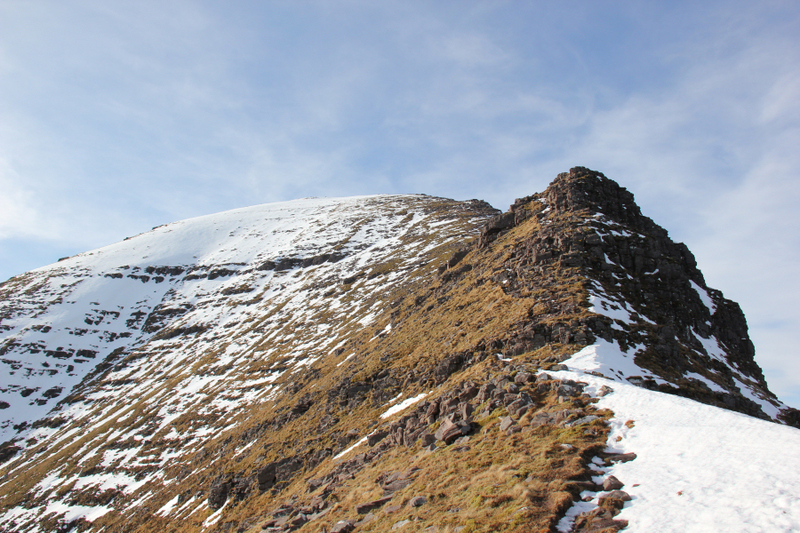 In summer the scrambling would have been straight-forward, but yesterday we had to take care on sections of slushy snow and water ice. 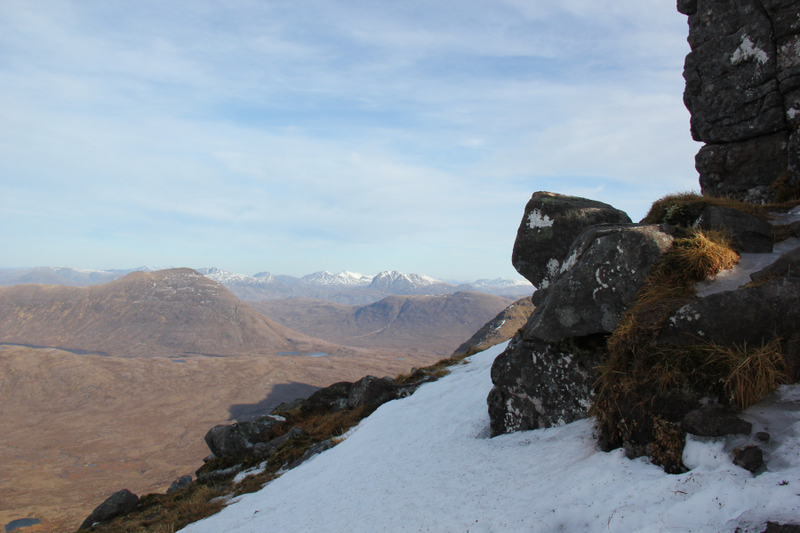 We didn’t bother with crampons as it was mostly really soft snow. 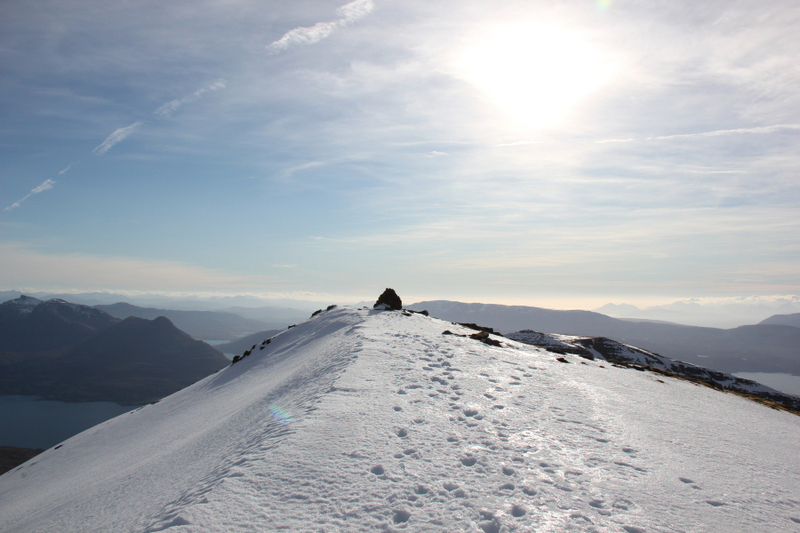 Nice crisp neve with crampons would have been easier than traversing through slush. 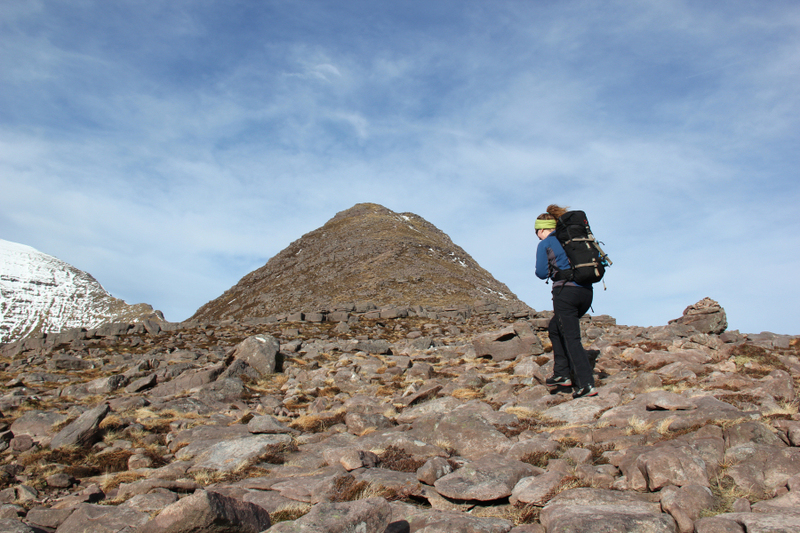 We didn’t spend long at the summit of Tom na Gruagaich as we were conscious of the time and the need to get back to the bus by 17:30. 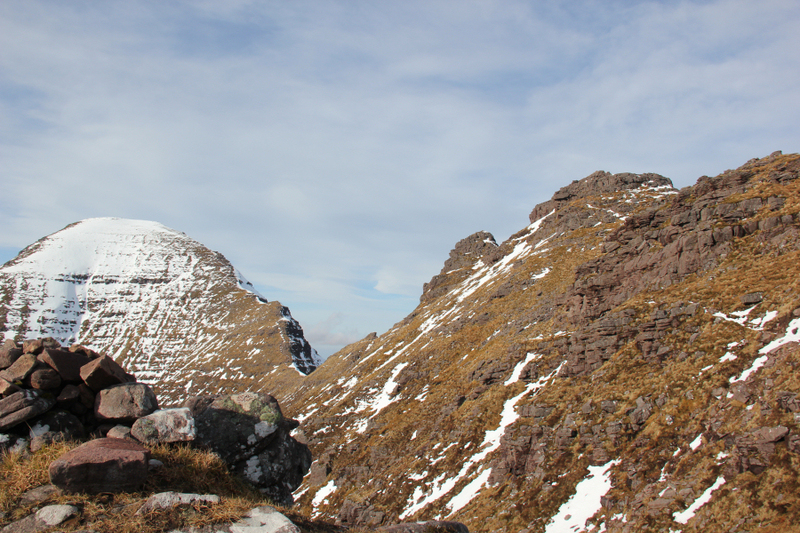 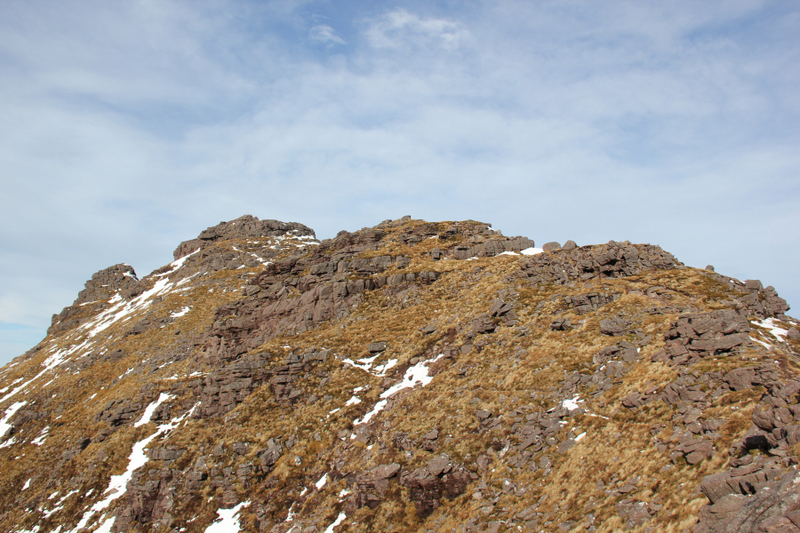 From Tom na Gruagaich, we descended towards the top of Coire nan Laogh before descending into the coire. 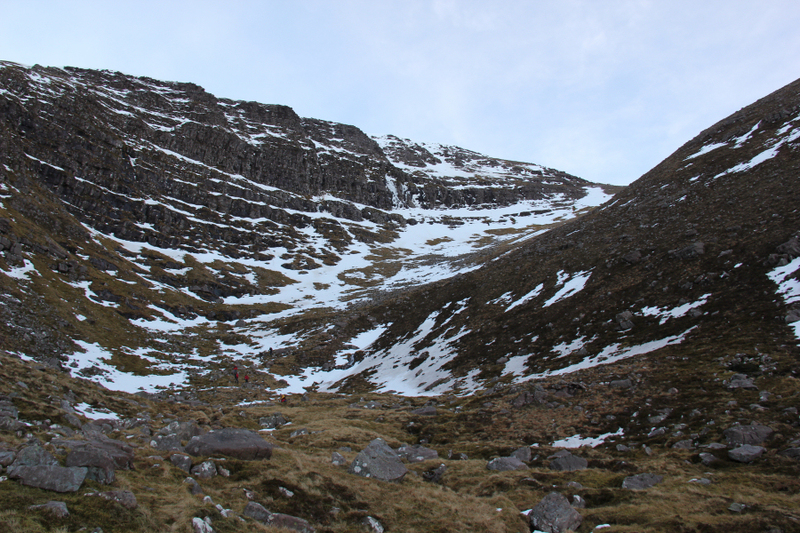 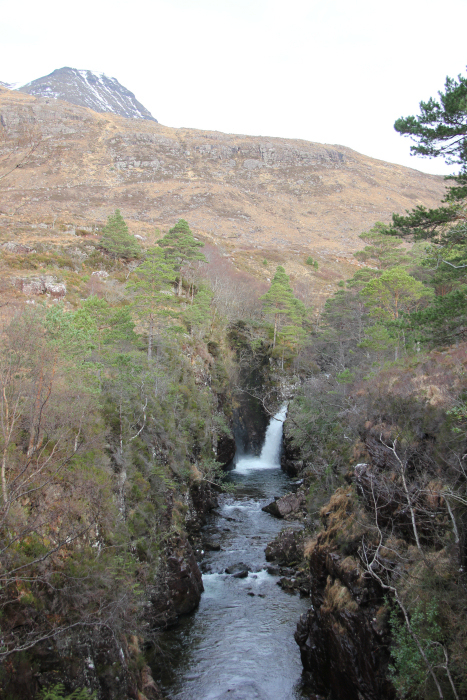 We were relieved to find little snow in the coire, as this coire could be prone to avalanche if plastered with snow.